CAROL STREAM, ILLINOIS – The demand has never been greater for specialized supply chains that deliver medical materials to meet the production demands of OEM’s. These businesses are acutely aware of the need to use quality metals and materials in their products to assure performance, durability and long-term reliability. Due to the recent revisions to ASTM standards F136 and F138, Banner Medical has installed a multi-axis, computer controlled Ultrasonic Inspection System designed and built by Matec Inspection Companies, Inc., for precision ground bars. 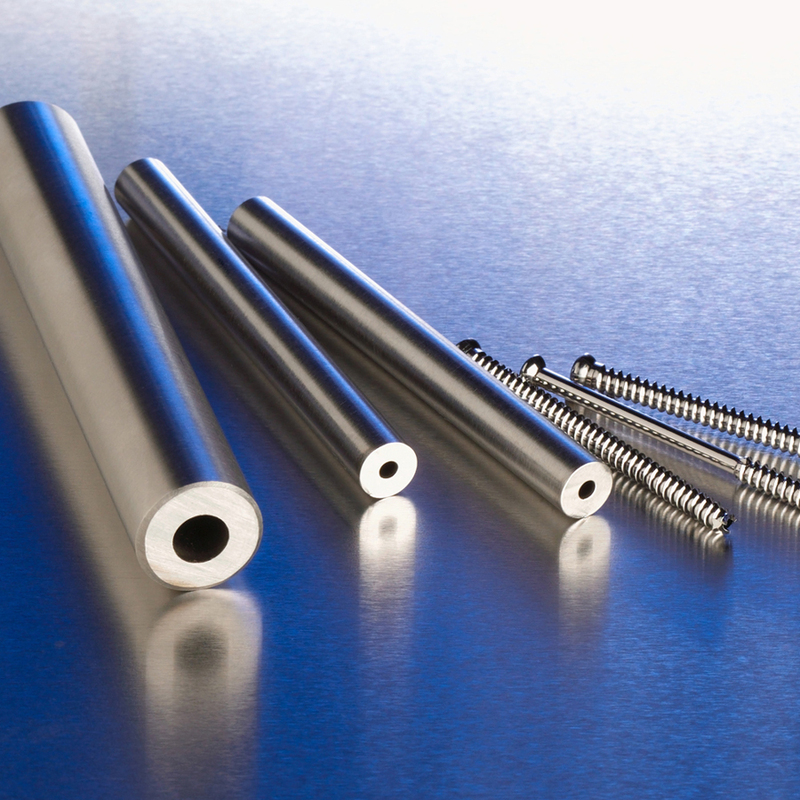 ASTM F136 and ASTM F138 are commonly specified standards in the design of titanium and stainless steel surgical implants; and recent revisions to each standard call for ultrasonic testing at final diameter for all centerless ground, or peeled and polished bars, which are greater than or equal to .375” in diameter. “The decision to purchase this highly versatile inspection system was driven by the current and future needs of our customers. We are experiencing greater demand for ultrasonic testing of medical grade raw materials and the recent changes to ASTM standards F136 and F138 will increase demand even further in the very near term,” said Bob Khin, Vice President of Quality Assurance, Banner Medical. “We recognize the impact these revisions will have on our customers. Ultrasonic testing at final diameter has the potential to add significant delays and cost to the supply chain. Our new ultrasonic inspection unit allows us to ensure the precision of centerless grinding and testing under one roof. We are providing our customers with a cost effective, time saving solution to the problems which could arise as manufacturers begin to comply with these changes. We will maintain the inventory, production capability, and testing equipment in a medical focused factory,” said Dan Stoettner, Executive Vice President and Chief Operating Officer. To fully comply with industry testing standards, Banner Medical has hired additional qualified personnel to operate the equipment and implement the proper management systems including Rick Wallen, Director of Technical Services. He will assume full responsibility for the ultrasonic testing program. Rick was employed at Zimmer Inc. for 34 years in various roles and most recently served as Principal Engineer, Quality. He was responsible for all nondestructive testing requirements company-wide. “We feel very fortunate to have Rick join our team. He is an industry recognized expert in ultrasonic testing and Quality Management Systems, and we are certain he will make an immediate impact within our organization. Rick is an ASTM certified Level III Engineer and an ASQ certified Quality Auditor. He is going to help us provide the very best service to our customers,” said Bob Khin. Banner Medical serves the medical device, implant, and instrument industry with medical-grade metal materials; Banner Medical is ISO 13485 and ISO 9001 certified, and FDA CFR part 820 compliant. CAROL STREAM, ILLINOIS — Firth Rixson Metals, a global leader in specialty metals manufacturing and distribution based in the United Kingdom, and Banner Medical, a leading provider of supply chain solutions for medical-grade materials to the device, implant, and instrument industry, announce their exclusivity agreement for sales and marketing for Cobalt Chrome in the United States, effective January 1st, 2014. “The medical-grade metal materials that Firth Rixson Metals produces are of the highest standards. By combining this offering with Banner Medical’s expertise in quality assurance, we will meet the stringent demands of the medical industry,” stated Elinor Oldroyd, GM of Firth Rixson Metals. Firth Rixson’s technological and operational excellence, combined with the firm’s economies of scale, has made the company the metals provider of choice for demanding customers in diverse specialized industries in more than 40 countries. Carol Stream, Illinois – Banner Medical executives Vince Adams, Vice-President of Sales, Marketing & Strategic Planning, and Bob Khin, Quality Assurance Director, along with Peter Johns, Supplier Quality Manager for Pioneer Surgical, will participate on a faculty panel at the upcoming Supplier Quality Management Congress sponsored by FDAnews, to be held at the Bethesda North Marriott Hotel & Conference Center in Bethesda, Maryland from July 31-August 2, 2012. The Banner Medical / Pioneer Surgical alliance has long been recognized in the industry as a successful strategic OEM / Supplier partnership formed to address the challenging supplier and raw material control issues which has been a focus of the FDA and of the Industry itself for the past decade. The partnership model, which the two companies have developed together, has produced positive results and yielded best practices that have been recognized by many and already adopted by some within the Medical Device industry. This year’s Supplier Management Congress mark’s the fourth annual event and is designed to bring together suppliers, producers, top regulators / policy makers, legal and advisory consultants to the industry, for the purpose of assuring the integrity of Device raw materials and supply chains. FDA representatives as well a dozen other OEM and Supplier executives will participate as the faculty for this three-day event. Attendees will include various manufacturers and suppliers to the industry, who will learn about risk management, recalls, liability issues and the new regulations recently instituted by FDA to better control the international drug and device supply chain to the medical markets. Banner supplies medical and orthopedic device manufacturers with medical-grade materials to meet the highest quality standards. It operates two ISO 13485 and ISO 9001 certified, FDA CFR part 820 compliant facilities in Carol Stream, Illinois and Charlotte, North Carolina. The company provides its GuardiaNTM customer support solution program for supply chain management and medical materials stocking, plus its AssuraNce® protocol that assures all products made for the medical market are produced on equipment validated per the FDA requirements. Banner’s EsseNtial Quality SystemsTM is a patent-pending IT-based quality program that manages the company’s materials selection and production processes to deliver medical-grade bar and plate stock. Banner Medical is a strategic business unit of Banner Services Corporation, a provider of precision ground bar as well as centerless grinding, turning and straightening, among other machining services. Banner Medical is committed to a uniquely ambitious approach to quality assurance – developed specifically for the evolving, critical needs of the medical device industry. To date, no other medical device materials supplier has achieved a greater degree of sophistication or engaged in a more data-intensive approach to developing and bullet-proofing processes. Banner believes this investment achieves multiple payoffs – in relationship-building with customers, in risk mitigation, and in long-term success for all. The background of Banner’s industry-leading quality assurance program and supply chain management solution includes many and varied factors. Each individually could provide justification for a major initiative on the part of a responsible, forward-thinking supplier. Collectively, these reasons make an inarguable case for new, stronger management of the supply chain. Let’s review the reasons why Banner has so vigorously engaged in the industry’s leading quality assurance program. The medical device industry has witnessed a series of costly and dangerous failures resulting from the dilution of device manufacturer standards down the supply chain. The buyer of materials must indeed beware of superficial quality measures and undocumented changes. An approach that emphasizes prevention represents a viable solution. By investing in supplier relationships premised on stringent purchasing controls, the device manufacturer considerably diminishes the likelihood of a hugely expensive failure and recall with liability. The 1:10:100 rule holds that a dollar spent on prevention of a quality problem forestalls the expenditure of $10 on correction or $100 to rectify a failure. In Japan and Germany, single sourcing is common and relationships can be decades long; suppliers are considered an extension of the customer company’s operation. American firms have historically not taken this approach. So, American device manufacturers generally work with approved supplier lists that have grown large and consequently difficult to manage. In the past, device manufacturers commonly worked with multiple suppliers for the same material, to minimize the possibility of a supply shortage or to bring down material price through competition. Today, short-term cost savings are used to justify the multiple-supplier, purchase-order-to-purchase order method. Such near-term savings, however, come with a high potential price: failures that can literally put a device manufacturer out of business. In recent years, thoughtful device manufacturers have concluded that they possess minimal leverage in applying controls to metal melt sources. More than 95% of a typical melt source’s business is outside the medical industry; the melt sources have little incentive to change. Furthermore, device manufacturers often do not buy directly from the melt sources and lacked direct access and contact. In dealing with suppliers, it is critical that a device manufacturer know how the supplier’s systems have evolved, as did Banner’s, in response to medical device industry needs. Additionally, procedures used to determine acceptability of suppliers must be unambiguous. The ASL should itemize specific products and processes for which the supplier is approved, not just the name of the company. A supplier that has been approved for one product or process should never be assumed to be approved for everything. Purchasing controls can take many directions in the effort to achieve greater stringency. One promising approach is for device manufacturers to focus on building strategic partnerships with suppliers with the demonstrated capability to provide acceptable product. In a time frame coinciding with several high-profile and catastrophic materials problems in the medical device industry, Banner proactively validated all its medical equipment and processes (IQ, OQ & PQ) per FDA protocols. Furthermore, we developed proprietary and particularly stringent bullet-proofing systems to ensure risk mitigation. Banner designed experiments to determine “worst case” scenarios and effects of processing parameters on the finished metals regarding mechanical properties and surface conditions for static and dynamic or high stress applications. Selection criteria for implant and device grades metals were based on 1) difficulty for machining, i.e. chemistry, 2) difficulty to straightening, i.e. very high mechanical properties, and 3) best commonly used coolants ~ Straight Sulfurized oils vs. water soluble coolants. We determined that softer material such as aluminum, brass, and carbon steel shrink as much as 0.002” on several passes during straightening; meanwhile stainless, CCM and titanium had minimum deflection. Grades such as Inconel, CCM, 440, 304, and Titanium proved very difficult to turn or grind. 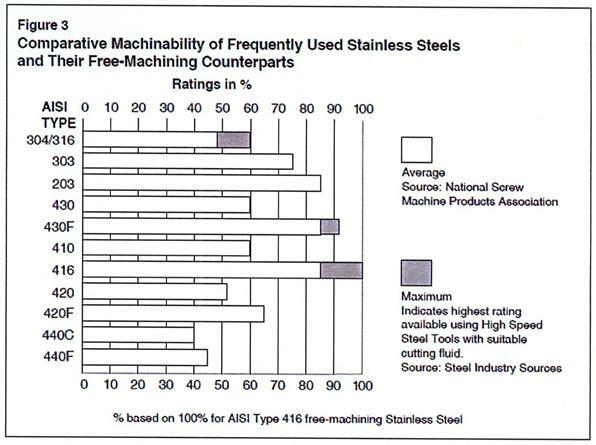 The experiment selected 316, Ti, 17-4A, 17-4H900, 440A and CCM grades based on their status of “most difficult” to machine and because of their extensive use in medical devices and implants (SS, CCM and Ti families). Banner chose minimum and maximum sizes of 0.0250” and 1.000” (based on volume/history) on existing equipment. For a worst-case scenario on straightening, grinding, and turning processes, bars were processed outside validated parameters. Then the supplier removed 125 percent of the routing parameter; for example, if the router states 0.010” removal, Banner tried to remove 0.0125” per grinding pass. Banner also ground samples down to 15 percent of the original diameter by volume. Samples were taken for analysis on surface condition, mechanical properties, and straightness (TIR). Extensive and detailed protocols determined the effectiveness of equipment function, operations and processes, outputs and revalidation criteria. Hundreds of samples were sent to a 3rd party A2LA and NADCAP (Exova) accredited laboratory for analysis. Multiple samples for each scenario were run and analyzed for repeatability and reproducibility. The tests concluded that, operating within validated procedures and processes, Banner could produce material that was compliant in terms of mechanical properties without adverse effect on the raw material. Removing 85 percent volume of stock and straightening 20 times has no negative impact on physical properties and surface conditions, as long as validated processing parameters are followed. Operating outside of the safe zone of validated protocols, processes, and parameters, Banner found adverse impacts on final produced materials. For example, per the test performed on implantable grade Titanium ELI ASTM F136, 0.750” diameter bar results showed that excessive straightening could induce surface cracks. Although there was no significant change in the physical properties before and after the test, under dynamic loading (Fatigue Test), the Fatigue cycles were reduced by a factor of 5 when operating outside of highly controlled and proven processes. Application life under validated processes averaged about 15,000 cycles but failure occurred within 20 percent of that application life, at about 3,500 cycles, with processes outside these parameters. For Banner, an 18-month investment in design of experiment and collection of substantial data and documentation proved most valuable. The findings provided incontrovertible evidence of the need for validated procedures and processes. For Banner customers, the data offer an assurance of quality. The supply chain stands to receive unprecedented FDA scrutiny in today’s medical device industry. For the FDA, supplier controls represent a top Quality Hot Topic. Specifically, raw materials are increasingly a cause for concern. 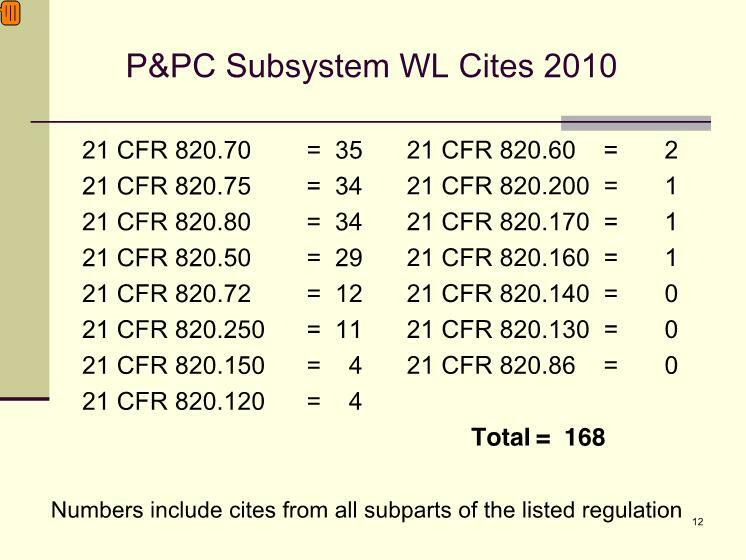 More than one-third of all 2010 Production and Process Controls (P&PC) subsystem warning letter cites are associated with regulation of material purchasing controls and acceptance activities (Section 820.50 and 820.80). The FDA continues to add dozens of new field inspectors and contracts with yet more inspectors to increase the agency’s capacity to review purchasing controls and acceptance activities, as well as other quality system matters. This activity included the hiring of more than 700 inspectors to ensure adequate, timely inspections overseas. The medical device industry cannot afford to pay less attention to quality topics than the FDA. Recent history has generated considerable concern about the effectiveness of controls through the layers of suppliers to the device industry. Kimberly Trautman, Medical Device Quality Systems/GMP Expert, Office of Compliance, CDRH, FDA suggests that the industry should consider when, not if, additional events will occur. The FDA’s position is that device manufacturers must be accountable for the identification and mitigation of risk in all tiers of their supply chains. The FDA has acknowledged that, as the medical device industry continues to grow worldwide, the agency’s oversight ability has become strained despite added resources. FDA inspections and authority often extend only to the finished device manufacturer, yet manufacturing of materials, critical components and entire devices is often outsourced; increasingly such outsourcing goes overseas. In response to these realities, the FDA puts its efforts into controlling the entities over which it has jurisdiction: the finished device manufacturer. In turn, the FDA demands that device manufacturers ensure selection of “only those suppliers, contractors, and consultants who have the capability to provide quality products and services.” The finished device manufacturer is ultimately the party legally responsible for compliance with the Quality System regulation and for assuring the safety and effectiveness of the finished device, a point once again emphasized in an August, 2011 FDA Supplier Quality Management Congress presentation by Trautman. Working within the comprehensive parameters set by the FDA, the medical device industry needs to manage its supply chain with unprecedented vigilance. Device manufacturers must take responsibility for the condition and quality of items purchased. It is imperative to identify and mitigate risks in the supply chain. Purchase decisions for devices, raw materials and services must be made with consideration to risk-based principles. Poor purchasing decisions lead to circumstances where companies will not meet regulatory or quality requirements, and will be subject to damage to their reputation and potential litigation. 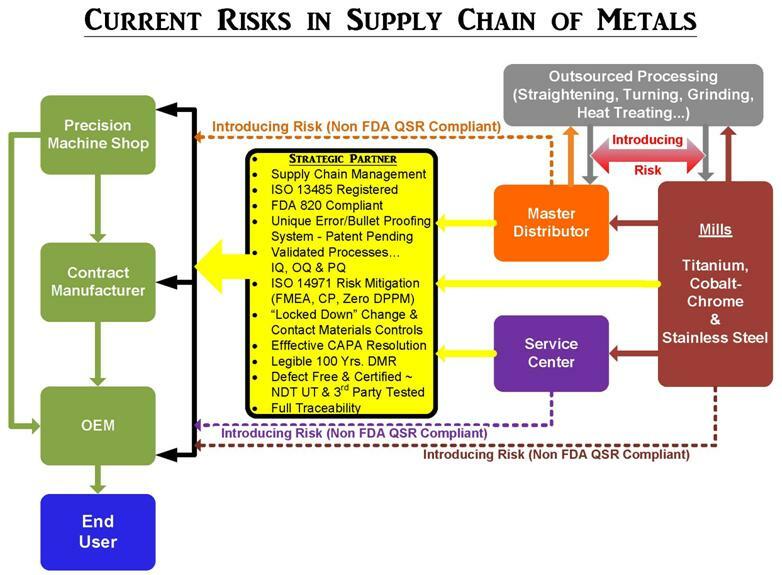 Conversely, purchasing decisions made with attention to the unique risks and needs of the medical device supply chain are imperative. Banner has already employed its new approach and controls in a relationship with an important customer, with mutual benefits and recognized success. The device manufacturer revised specifications to require melt source and melt process validation, independent test lab verification, and an approved supplier list of melt sources. Every raw material lot was subject to certificate verification through an inspection plan. Banner committed to fulfilling all the new requirements, and additionally offered to have the material pretested by a major OEM-approved lab. This meant the device manufacturer could end its practice of cutting and sending out test samples from their received material, a process that had delayed stocking of the material for two weeks. The device manufacturer challenged Banner to “bullet-proof” material controls to prevent mixing or sending incorrect material. In response, Banner offered its unique statistical process control system tailored to the device industry. Statistical process control can be employed as a validation activity that helps deliver understanding of the impact of change. In this instance, customized IT / MRP System controls automate error proofing of certification, verification of mechanicals and chemistry, restrictions, and more. Customized software that uses control plans can include detailed requirements for various “inputs,” for example, inspection plans and test results. The computer logic Passes or Fails each step of product realization. When certain criteria are met, security is triggered to escalate the issue to appropriate personnel in the organization. In the supply chain, particularly important considerations would include restrictions and exceptions. A “No China Titanium” restriction offers one example. In another example, information could be input to specify a supplier’s qualification only for heat-treating and not for sterilization. When the system controls all this information, only data that meet established criteria will automatically flow through. The automation minimizes the need for manual intervention and accompanying human error. This system controls what is supplied and where it is sourced, literally stopping the process if the wrong combination is entered, constituting what is essentially an approved supplier list imbedded in the supplier’s IT system. Any requirement for an outside lab test is included in the customer profile. The program also has a function that requires entry of actual material test results. If any specification requirement is unmet, the material is locked down and cannot be shipped without overriding the system. As of late 2011, Banner’s customized Quality Management IT System has ‘Patent Pending’ status with the U.S. Patent and Trademark Office. Additionally, Advanced Product Quality Planning, a process successfully employed in other industries including automotive and aerospace, was incorporated into the partners’ business process. Cross-functional teams mapped the administrative process step by step, developed a Failure Mode Effects Analysis (FMEA) ranking scheme, and employed several other quality tools. Upon completion of the extensive analysis, the supplier revised and developed improved work instructions and forms. This partnership innovated again by applying quality controls to the administrative function. Banner and its customer identified several additional factors that contributed to the success of the strategic partnership. Both firms entered into the partnership with full management support. Both organizational cultures valued teamwork and cooperation. Both parties committed to short- and long-term goals and structured contractual agreements and business processes accordingly. The companies in the strategic partnership recognized and adeptly worked toward their common best interest. Banner believes that long-term strategic partnership minimizes total cost and increases competitiveness for both partners. For Banner, guaranteed business fosters the creation of long-term plans for growth and resource requirements. Banner’s device manufacturer customers benefit from greater speed to market as vendor-managed inventory (VMI) reduces lead times. Both parties save time and money as administrative costs decrease and shipments are consolidated. Most importantly, device manufacturers benefit from reduced risk when medical-grade material is a core competency of the supplier. Banner is a metals supplier whose interests and systems align with the medical device industry and with the FDA expectations by which the industry must abide. Banner has invested in the development of stringent processes and tools to address the specialized needs of device manufacturers. A strategic partnership offers greater levels of control, ensures timely delivery, and maximizes regulatory compliance. In the longer term, these supply chain management approaches help support the FDA mandate for TPLC accountability and establish a process for efficient product development, increasing the speed at which Banner’s customers can bring successful products to market while managing risk. Banner Medical intends to be the metals supplier who shares the priorities of the device industry and possesses the capabilities to ensure timely delivery with no adverse effects. Carol Stream, IL – Banner Medical today announced a long term exclusive agreement with Veridiam, Inc. (formerly Carpenter Special Products) of San Diego, California. Under this agreement, Veridiam will manufacture and supply Carpenter Custom 455®, Custom 465® and 17-4 alloy cannulated bar tubular materials to Banner Medical. Owing to its long involvement in the medical device and orthopedic markets, Banner will then utilize its patent pending quality control systems (IT-based) and validated straightening, grinding, and polishing processes to finish, stock and market the highly specialized products worldwide under the terms of this exclusive agreement. The announcement was made by Banner Medical Vice President for Sales, Marketing & Strategic Planning, Vince Adams. Banner maintains a wide variety of stock sizes of 17-4, 455, and 465 cannulated bar ready for immediate shipment. Additionally Banner’s fully validated grinding processes allow them to provide custom precision diameters with relatively short lead times. Banner has built its reputation in the medical, orthopedic and spinal markets by supplying stainless steel, titanium and cobalt chrome bar materials for OEMs and contract manufacturers producing implants and instruments. Veridiam, Inc. has been manufacturing cannulated bar for over 15 years. Veridiam’s unique manufacturing process starts with a gun drilled seamless hollow and cold draws the hollow bar through as many as 19 cold draw passes with intermediate anneals. The final cannulated bar exhibits superior concentricity and I.D. surface finish. Veridiam’s cannulated bar has consistent 8’-12’ lengths to improve machining yields. Veridiam, Inc, is a major integrated contract manufacturer of build-to-print metal tubing, components, and assemblies, custom engineered to meet the needs of the medical, power generation, dental, aerospace, industrial and other highly-critical applications. Operations include two manufacturing facilities in San Diego County, CA and a facility in San Jose, Costa Rica. All products are produced under quality systems certified to ISO 13485, ISO 9001:2000, AS 9100 and NQA-1. Banner supplies medical and orthopedic manufacturers with medical-grade materials to meet the highest quality standards. It operates two ISO 13485 and ISO 9001 certified, FDA CFR part 820 compliant facilities in Carol Stream, Illinois and Charlotte, North Carolina. The company provides its GuardiaNTM customer support solution program for supply chain management and medical materials stocking, plus its AssuraNce® protocol that evidences all products made for the medical market are produced on equipment validated per the FDA requirements. Banner’s EsseNtial Quality SystemsTM is a patent-pending IT-based quality program that manages the company’s materials selection and production processes to deliver medical-grade bar stock. Cannulated bar produced by Veridiam will be marketed by Banner Medical to the global medical and orthopedic markets.